Although an older kit, I thought it would be appropriate to provide an in the "bag" review of the Aviation Usk I-15 kit, as it still is a viable kit, and one worth seeking out. 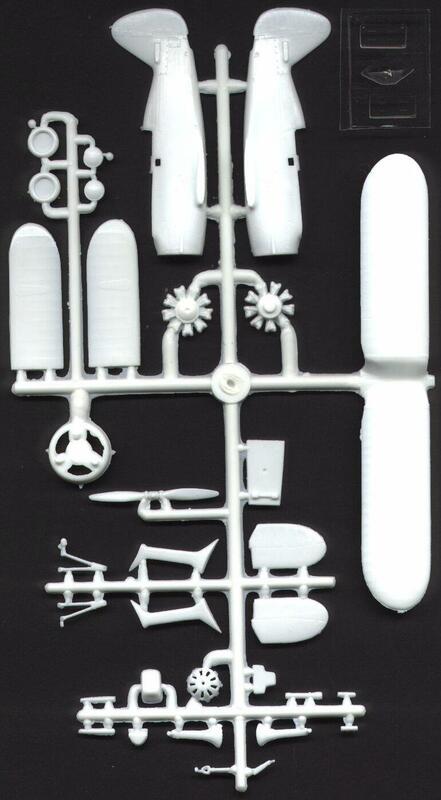 The kit contains 33 injected plastic pieces with six vacuform parts taking care of the windscreen and side windows (Aviation Usk provides spares, "just in case"). Detail is nicely handled and the outline is spot on. There is some flash around parts, but nothing to be too concerned about. The level of detail is extremely nice for a kit that has been out for awhile. Although cockpit detail is a little lacking - the only things provided are the floor, seat, instrument panel and control column - I bet it's very feasible to use the cockpit from the Encore/ICM I-152 to dress up the I-15. In fact, at the current Encore prices it won't hurt the budget too much. My only complaint with the exterior detail is the unfortunate location of two molding "lugs" that reside half on the upper wing's area for the interplane struts, and half on the rib detail. Careful removal of these "lugs" is a must so as not to destroy too much of the rib detail. 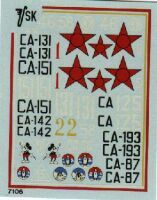 There are enough decals to model 12 separate schemes  an extremely nice selection of aircraft being provided, both VVS and Spanish Civil War. Even though this is an older model, it still is the best 1/72nd representation of the I-15 in injected form. This model is highly recommended, and with a little bit of work can build into a very nice model. Couple it with pieces - especially the cockpit - of the Encore/ICM I-152 and you'll have a real beauty on your hands. It is still available from Aviation Usk, but I understand supplies are running low, so buy yours now!